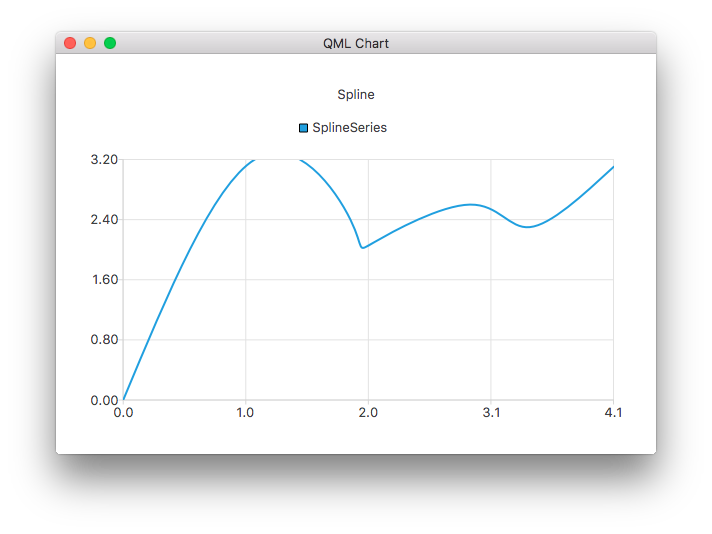 A spline series stores the data points and the segment control points needed by QPainterPath to draw a spline. The control points are automatically calculated when the data changes. The algorithm computes the points so that the normal spline can be drawn. Controls the cap style of the line. Set to one of Qt.FlatCap, Qt.SquareCap or Qt.RoundCap. By default, the cap style is Qt.SquareCap. Controls the style of the line. Set to one of Qt.NoPen, Qt.SolidLine, Qt.DashLine, Qt.DotLine, Qt.DashDotLine, or Qt.DashDotDotLine. Using Qt.CustomDashLine is not supported in the QML API. By default, the style is Qt.SolidLine. The width of the line. By default, the width is 2.0.